Kyabjé Taklung Tsetrul Rinpoche, the head of the Nyingma Tradition of Tibetan Buddhism. (TibetanReview.net, Dec26, 2015) – The exile Tibetan administration held a prayer service Dec 25 at the Tsuglakhang, Dharamsala, over the death of Kyabjé Taklung Tsetrul Rinpoche, the head of the Nyingma Tradition of Tibetan Buddhism, the day before. He was 89 and did not have any particular ailment, according to reports. Both the executive head of the exile Tibetan administration at Dharamsala Sikyong Lobsang Sangay and the Speaker of the Tibetan Parliament-in-Exile Mr Penpa Tsering have expressed sadness over the eminent monk’s death. 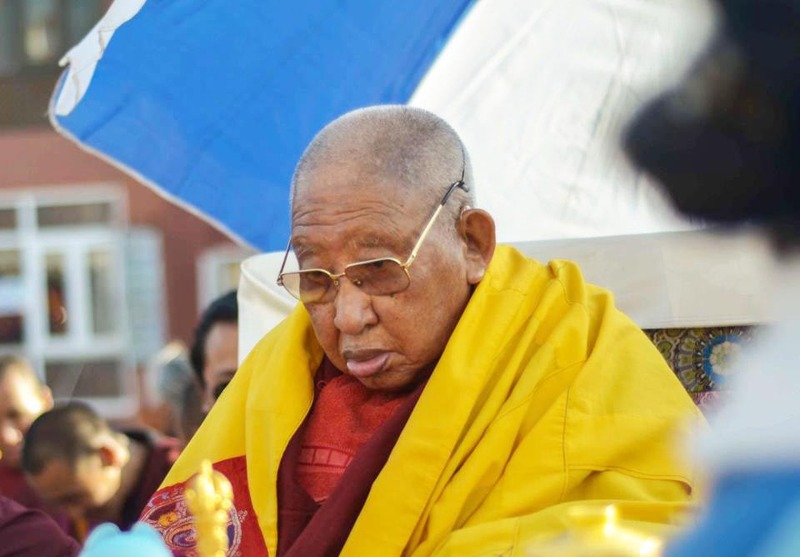 Kyabjé Taklung Tsetrul Rinpoche was reported to have died at Bodh Gaya where he was otherwise to attend the Nyingma Monlam, the grand annual prayer service congregation of the Nyingma school. 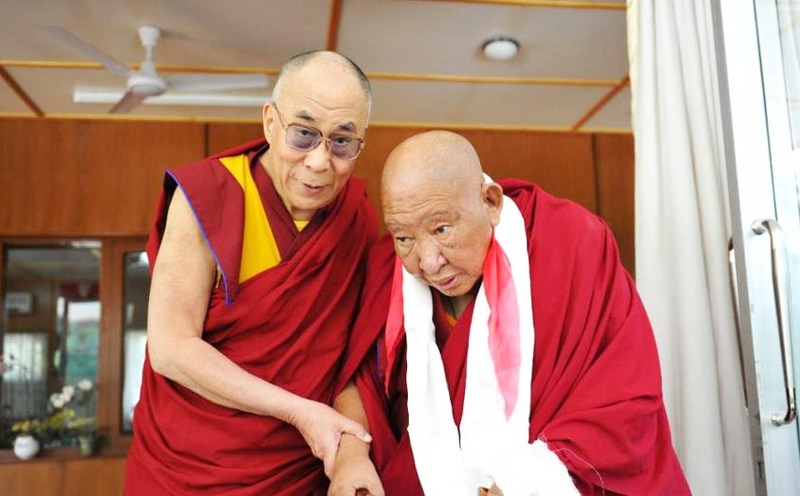 Rinpoche, who became the spiritual head of the Nyingma tradition of Tibetan Buddhism in 2012, was reported to have passed away at 2:30 AM and to be in a Thukdam, the final meditative state accomplished masters of Tibetan Buddhism are said to enter into at the time of their passing away. Rinpoche lived in his Thubten Dorje Drak Monastery, in Shimla, India. He was born in 1926 in Central Tibet and was recognised as the incarnation of the ninth Dorje Drak Rinpoche Thubten Choewang. He fled Tibet in 1959 after the Chinese invasion and established the current Dorje Drak Monastery, the exile version of his monastery in Taklung, Tibet. Rinpoche was renowned as a holder of all the great Kama and Terma traditions of the Nyingma School, and as a great exponent of the Rime, or non-sectarian, practice of Tibetan Buddhism. His Holiness the Dalai Lama with Kyabjé Taklung Tsetrul Rinpoche, the head of the Nyingma Tradition of Tibetan Buddhism. The prayer service for late Taklung Rinpoche was held at Gangkyi staff auditorium, not tsuglakhang.